This is the English translation of an article I originally wrote in French for Journal du Japon. If you speak French, please check it out too. With the recent release of their new EP Galapagos, and their recent shows in France this summer – first at La Magnifique Society, in Reims (Champagne), then at Les Eurokéennes, in Belfort (Franche-Comté) – I thought it was time (and a good thing) to ask this question: what is Wednesday Campanella? Let’s be clear here 2 minutes. Last year, I’ve been immensely lucky to interview their frontwoman, KOM_I. 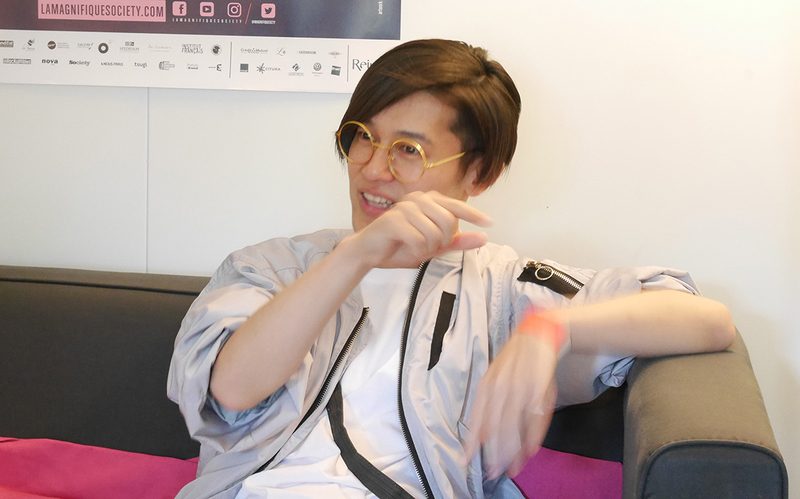 But in the end, it was more a very nice chitchat on stage performance, upcoming projects, inspirations and so on, and I didn’t really explained why WedCamp was so great, how it was changing the way music is done in Japan (and why not the world) and why you should all listen to it. Fortunately, I’ve been able to interview KOM_I once again, in Reims. She was dressed kind of like a R’n’B singer from the early 2000’s (a silky leopard pattern chocker around her neck and little blue glasses on her nose) and I thought it was wonderful. So let’s get to know Wednesday Campanella. This is the English translation of an interview originally published in French on Journal du Japon. For its first edition, La Magnifique Society welcomed multiple Japanese artists as part of a specific program. Among them was Suiyoubi no Campanella (also known as Wednesday Campanella outside of Japan). After some performances at SXSW, Budokan and a lot of festivals all over Japan and Asia, KOM_I, Hidefumi Kenmochi and Dir. F, the three members of the band, favored us with 2 shows in the bucolic setting of Parc de Champagne, in Reims. After these 2 shows, KOM_I granted me an interview. She greets me with a copy of Les Inrocks, commenting the cover of the magazine announcing the return of Twin Peaks. She welcomes me in French, stating: « Je m’appelle KOM_I, de Wednesday Campanella, enchantée ! » (My name is KOM_I, from Wednesday Campanella, nice to meet you!). I take a deep breathe and start the interview. DÉ DÉ MOUSE: Mighty Mouse! DÉ DÉ MOUSE (a persona built on the initials of his civil name, Daisuke Endo, and his nickname « Mouse » – not to be confused with deadmau5, then) is an artist representative of the Japanese EDM scene. Though, he’s still not that well known outside of Japan, even if he managed to get a featuring with Anamanguchi from the US. A multi-faceted artist, he is confortable both with electronic musics and more conventional ones like jazz. With dream you up, his 6th album, just released, DÉ DE MOUSE has been invited by La Magnifique Society, as a part of the Japanese program of the festival. I meet with him the day after his first and very energetic set. Despite being 38, he welcomes me with the shiny smile of a playful teenager. The interview begins in English, and will switch between this language and Japanese during the whole dialogue.